Tired of boxy multipurpose vehicles? 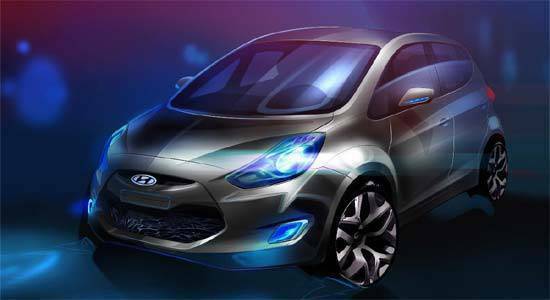 Watch for Hyundai's ix20 set to be unveiled at the Paris Motor Show by the end of the month. Hyundai released a sketch of the vehicle that depicts a sporty and dynamic design, far from the usual minivans we see on the road today. "Designed and developed at Hyundai's European R&D centre in Rüsselsheim, Germany, the ix20 is the second European car, following the ix35, to adopt Hyundai's new 'fluidic sculpture' design language. The name ix20 reflects the new model's crossover-like versatility – a vehicle with the ability to simultaneously serve as a functional people-carrier while providing a dynamic, fun-to-drive experience." What do you think of the new ix20? Share your through our comment box below.